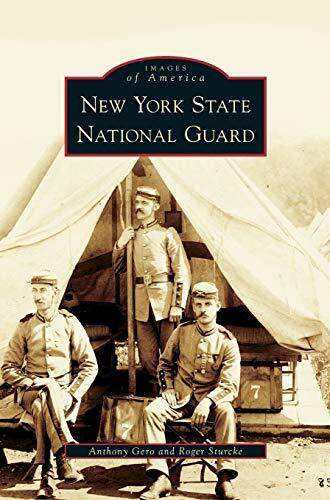 Dedicated to the state's citizen soldiers, New York State National Guard reveals the sweeping vista of the often turbulent years from 1860 to 1960. This exciting history documents the faces, dress, and overall activity of New York's militia and National Guard with compelling images that have rarely, if ever, been publicly viewed. The book sets forth a century of photographic evidence and reliable narrative, making it a resource and guide not only for historians, museums, historical organizations, genealogists, and collectors but also for readers in general. For the past 40 years, military historians and coauthors Anthony Gero and Roger Sturcke have been collecting, researching, writing, and publishing on the militia and National Guard of New York State. As elected fellows of the Company of Military Historians, they have been recognized nationally for their achievements in documenting the history and dress of National Guardsmen. Their keen interest in and broad knowledge of the subject is reflected in this valuable benchmark, New York State National Guard.